Making wheelchair van adjustments for the first time can seem like a daunting task. There are so many factors to consider and it is easy to become overwhelmed. At United Access, we do everything we can to give you peace of mind, because expanding your independence on the road shouldn’t be an uphill battle. Here are a couple of ways that our team works to make your wheelchair van purchase unique and special! There are thousands of wheelchair vans and lift options available for people with disabilities. While this is great news for those with unique mobility needs, it can make the process of purchasing your wheelchair van more complicated. The United Access Mobility Specialists are experts in their field and can find a solution that’s right for you. Our sales team receives comprehensive and up to date product training in order to give you a perfect fit with the latest technology. We also want you to know how much we care! 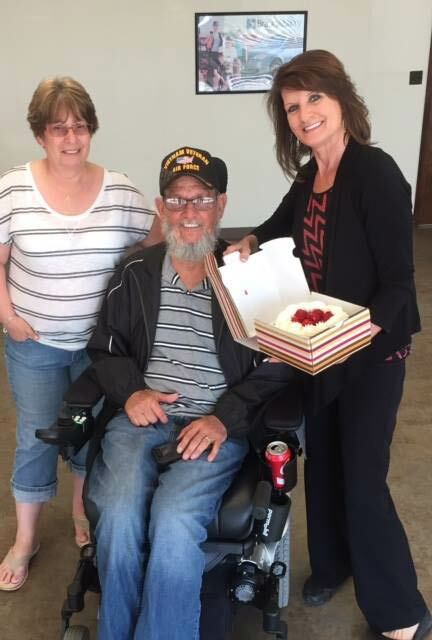 Dallas Mobility Specialist Sam Brenner, pictured here, likes to give little gifts (like cakes!) to her customers when they finally get to take their vehicle home. 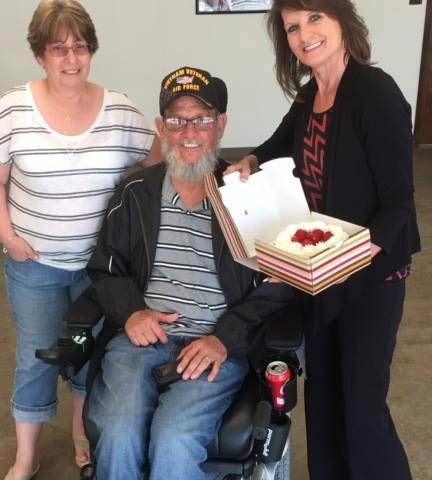 In this picture, though, Sam got a “taste” of her own medicine; her newest customer actually gifted her a cheesecake out of thankfulness for what they accomplished together. When it comes to mobility solutions, there is no “one size fits all” answer. Every wheelchair user is different, and therefore has very different needs for not only their wheelchair van but also their lifestyle. United Access will find you the products you need and make sure they function flawlessly for a long time. We offer 24/7 emergency service and regular tune ups for our customers. So whether your wheelchair van is experiencing complications from Denver snow or your air conditioning is acting up in the Dallas heat, United Access is there to take care of you! 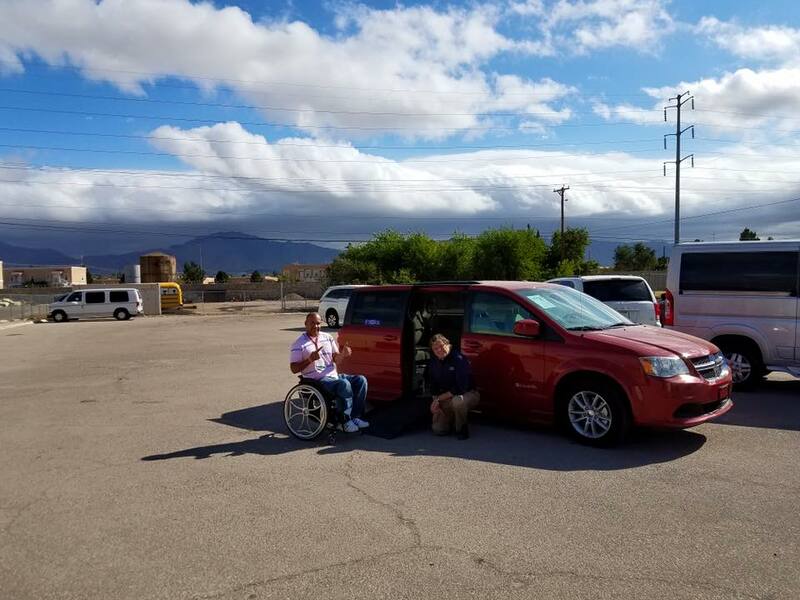 Wheelchair vans are no small investment, but United Access wants to ensure that people with physical disabilities can have independence no matter their income. That’s why we work with multiple banks and funding resources to find a financial plan that’s right for you. Our mobility specialists will work with your budget and even help you reach out to charities and associations willing to donate! 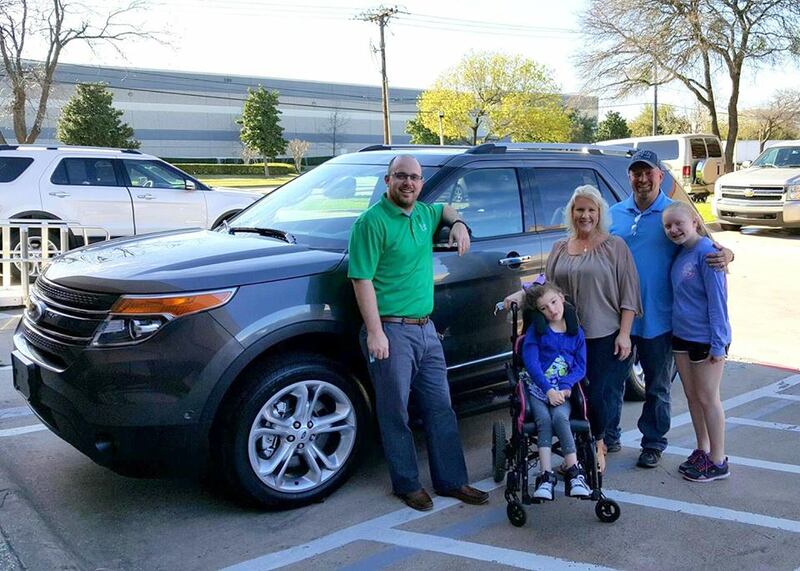 Kyle Harris, Dallas Mobility Specialist, with a family who chose a BraunAbility Ford Explorer MXV to fulfill their daughter’s needs! Finding independence with a physical disability can be a long journey, and United Access is grateful to assist when it comes to your vehicle modifications. However, we understand that mobility and independence takes more than just a wheelchair van. That is why we are so thankful to our community partners when it comes to getting out customers the help they need. When you come to United Access for your wheelchair van, you also can find a trusted network of professionals ready to provide you with the best wheelchairs, home care, and stair lifts available today. We can also help you get connected with local support groups in your area! 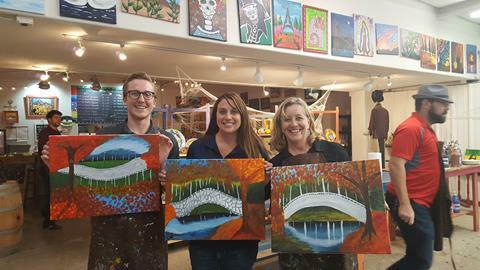 The UA-Albuquerque team got together to paint for a purpose! While there might be other mobility dealers to choose from, no one comes close to United Access in safety, customer satisfaction, and community care. We provide the best products modern technology has to offer combined with the compassion and understanding of a small family owned business. When you come to us to find your independence, you can expect premier service and reliable, long-lasting mobility equipment. Contact us today to learn how one of our Mobility Specialists can help find the right mobility solution for you.